Draft: 2013, New York Yankees, 18th rd. Dustin Ryan Fowler…graduated in 2013 from West Laurens HS (Ga.), where he was named regional "Player of the Year" as a senior. Batted .224 with six home runs and 23 RBI in 69 games over two stints with Oakland and .341 with four home runs and 27 RBI in 55 games with Triple-A Nashville…stole six bases with the A's, which tied for eighth among American League rookies…drew just eight walks and struck out 47 times and his average of 0.17 walks per strikeout was 10th lowest in Oakland history among players with 200 or more plate appearances…made 45 starts (44 in center field, one in left field), all in games started by a right-handed pitcher…hit .229 (41-for-179) with all 11 of his extra base hits, 22 of his 23 RBI and all eight of his walks against right-handed pitchers…was 2-for-13 (.154) with a sacrifice fly against left-handers…batted .261 on the road, .169 at home…had just two extra base hits in Oakland (both home runs) and slugged .247 at home compared to .426 on the road…hit .190 with five of his six home runs with the bases empty, .282 with runners on…batted .320 with runners in scoring position and two outs…had five home runs in 40 night games, one home run in 29 day games…had a .190 batting average against a pitcher the first time he saw him in a game, .276 after that…in addition to starting in center field and left field, he also played three games in right field… had one assist and one error in 62 games overall in the outfield…was 4-for-12 (.333) with four RBI, a walk and five strikeouts as a pinch hitter…scored four runs in nine games as a pinch runner…batted .241 with a .256 on-base percentage in 27 games in the leadoff spot…also started games in the seven, eight and nine spot in the order…was 9-for-19 (.474) in the ninth inning…hit .136 in 10 interleague games…batted .312 with five of his six home runs in 21 games against the AL Central, .165 in 47 games against all other teams…was 7-for-14 (.500) when putting the first pitch in play… hit .126 with two strikes…batted .149 with a .174 on-base percentage when leading off an inning. OAKLAND: Was recalled from Nashville May 9 and made his Oakland debut that day against Houston when he lined out as a pinch hitter …made his first start May 11 at New York (AL) in center field and went 1-for-5…singled off Sonny Gray in the fourth inning for his first Major League hit…collected his first RBI and extra base hit on May 14 at Boston with a triple…stole the first base of his career May 17 at Toronto…hit his first Major League home run May 18 at Toronto, a solo shot off Marco Estrada in the third inning…finished May with a .174 batting average in 17 games…then hit .294 with four of his six home runs and 10 of his 23 RBI in 26 games in June… had the first two-homer game of his career June 1 at Kansas City…also drove in a career-high four runs and had his first career three-hit game… went 1-for-13 over a six-game stretch from June 13 to 19…then had a career-high seven-game hitting streak from June 20 to 27…went 9-for-25 (.360) during the streak…led off the game with a home run for the first time in his career July 6 at Cleveand…tied an Athletics record by striking out five times on July 9 at Houston…it was the seventh five-strikeout game in Oakland history, the first since Nick Swisher at San Diego, June 29, 2006… that began an 11-game stretch where he went 3-for-32 (.094)…snapped a career-high 0-for-14 streak with a second inning single July 20…was batting .231 with six home runs and 21 RBI in 59 games when he was optioned to Nashville following the game on Aug. 1…was recalled Aug. 31 and was 1-for-10 with two RBI in 10 games following his return…started in left field on Aug. 31 against Seattle and went 0-for-5…did not make a start in nine games in September…went 1-for-3 with a walk in four pinch hitting appearances and also pinch ran four times. field… had four assists in 53 games overall in the outfield…also made five errors…was Nashville's Opening Day starter in center field on April 5 at New Orleans…went 3-for-5 and was a single short of the cycle…was batting .264 with one home run and nine RBI over his first 21 games through April 28…then went 16-for-39 (.410) with four doubles, three triples, two home runs and seven RBI over his next nine contests from April 29 to May 8…had his first of two four-hit games April 30 at Colorado Springs…his second also came at Colorado Springs on Aug. 9…went 0-for-4 with four strikeouts May 7 against Memphis…was batting .310 in 30 games when he was promoted to Oakland May 9…returned to Nashville Aug. 3 and hit .379 with 10 doubles, three triples, a home run and 11 RBI in 25 games in the final month of the season…had a streak of seven consecutive multiple hit games from Aug. 7 to 14 and had at least one extra base hit in each game…went 19-for-31 (.613) with 12 runs scored, six doubles, two triples and five RBI during the streak…had a season-high 12-game hitting streak from Aug. 17 to 29 (13-for-50, .260). Was one of three players acquired from the Yankees in the Sonny Gray trade on July 31 but did not appear in a game with the A's as he was recovering from knee surgery…began the season at TripleA Scranton/Wilkes-Barre and was batting .293 with 19 doubles, eight triples, a career-high 13 home runs, 43 RBI and 13 stolen bases in 70 games when he was selected by New York June 29… made his Major League debut with a start that day at Chicago (AL) in right field but ruptured his right patellar tendon with two outs in the first inning…did not have an at bat and was placed on the disabled list the next day…underwent surgery June 30 at Rush Orthopedics in Chicago…Dr. Bush-Joseph performed an open patellar tendon repair…was leading the International League in triples, ranked second in slugging (.542) and extra base hits (40), third in hits (87), tied for third in doubles, tied for fourth in runs (49) and fifth in OPS (.871) at the time of his promotion…finished the season tied for the IL lead in triples…was named to the IL Midseason All-Star Team, but did not play in the game due to his promotion…hit .296 (61-for-206) against right-handed pitchers, .286 (26-for-91) against lefties…had seven home runs in 206 at bats against righties (29.4 at bats per home run), six in 91 at bats against lefties (15.2 at bats per home run)…six of his 13 home runs came in the first inning…hit .235 over innings one through three, .331 from the fourth inning on…batted .311 when leading off an inning…went 1-for-9 (.111) with the bases loaded… appeared in 40 games in center field, 14 in right field and 12 in left field…committed four errors in 65 games overall in the outfield (.970 fielding percentage)…also hit .211 in five games as the designated hitter…batted .327 in 48 games in the two spot in the order, .217 in 22 games hitting third…never went more than two consecutive games without a hit…was named the A's number four prospect by Baseball America following the season. SCRANTON/WILKES-BARRE: Batted .125 over his first eight games through April 15…that included his lone two-homer game of the season in the second game of an April 9 doubleheader at Buffalo… had a season-high five-RBI in that contest…then reached base safely in 19 consecutive games from April 16 to May 9…had a season-high 12-game hitting streak from April 26 to May 9…went 21-for53 (.396) with three doubles, four triples, two home runs and eight RBI during the streak to boost his average to .301…collected six triples over a 16-game span from April 28 to May 15…hit for the cycle April 30 against Indianapolis…went 5-for-6 with two doubles, a triple, home run and two RBI in the RailRiders 7-6, 11-inning win…was named International League Batter of the Week for the week of April 24-30…went 11-for-26 (.423) with four runs, three doubles, two triples, two home runs, five RBI and two walks in six games…finished April with a .293 batting average and then hit .325 in May…was 0-for-5 with a season-high four strikeouts May 10 at Pawtucket…went 4-for-5 May 15 against Pawtucket and had another four-hit game May 27 at Toledo…a 2-for-4 performance May 29 at Toledo lifted his average to a season-high .314…then hit .255 over his final 26 games…stole a season-high two bases June 7 at Rochester, a feat he duplicated June 17 at Buffalo. Spent the season with Double-A Trenton, batting .281/.311/.458 with 67 runs, 30 doubles, 15 triples, 12 home runs, 88 RBI and 25 stolen bases in 132 games…led Yankees minor leaguers in RBI and total bases, ranked second in hits and ninth in batting average…was one of 26 minor leaguers to hit at least 10 home runs and steal at least 25 bases…finished second among all minor leaguers in triples (San Diego's Franchy Cordero-16)…tallied the Eastern League's highest single-season triples total since 1993…also ranked among EL leaders in hits (second), at bats (second), extra-base hits (third, 57), total bases (third, 248), RBI (fourth) and slugging percentage (seventh)…was named an EL Midseason All-Star…hit .324 against left-handed pitching… compiled a 16-game hitting streak from July 18 to Aug. 4 (24-for-62, .387)…after tallying 28 extra base hits (18 doubles, seven triples, three home runs) over his first 88 games, logged 29 extra base hits (12 doubles, eight triples, nine home runs) in his final 44 games beginning July 18, tied for second most in the minors over that span…played primarily center field (119 games/116 games started), with three starts apiece in left field and right field, and committed five errors in 268 total chances (.981 fielding percentage)…was a non-roster invitee to Yankees' Major League spring training and hit .318/.348/.455 with four runs, one double, one triple, two RBI and one stolen base in 15 games…following the season, was tabbed as the No. 9 prospect and the "Best Defensive Outfielder" in the Yankees organization by Baseball America and as an Organization All-Star by MiLB.com. Combined at Single-A Charleston and Single-A Tampa to bat .298/.334/.394 with 64 runs, 20 doubles, six triples, five home runs, 70 RBI and 30 stolen bases in 123 games…among all Yankees minor leaguers, ranked second in RBI, fourth in stolen bases and sixth in batting average… began the season with Charleston, hitting .307/.340/.419 with 35 runs, nine doubles, three triples, four home runs, 31 RBI, 11 walks and 18 stolen bases in 58 games…batted .351 in his final 27 games with the RiverDogs, earning a promotion to Tampa on June 22…hit .289 with 29 runs, 11 doubles, three triples, one home run and 12 stolen bases in 65 games with Tampa…following the season, was tabbed as the No. 10 prospect in the Yankees organization by Baseball America and as an Organization All-Star by MiLB.com…also appeared in 16 games for the Surprise Saguaros of the Arizona Fall League and hit .279 with 14 runs, two doubles, two home runs, seven RBI and seven stolen bases. Batted .257 with 33 runs, 13 doubles, six triples, nine home runs and 41 RBI in 66 games for Single-A Charleston…named the South Atlantic League Player of the Week on June 16 after batting .391 (9-for-23) with two runs, two doubles, one triple, one home run and six RBI in six games. Made his professional debut with the GCL Yankees 1, batting .241 with eight doubles, four triples, nine RBI and eight runs scored in 30 games. 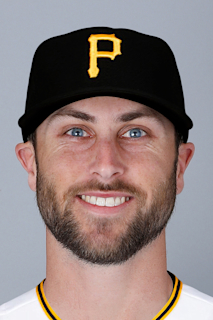 March 12, 2019 Oakland Athletics optioned CF Dustin Fowler to Las Vegas Aviators. August 31, 2018 Oakland Athletics recalled CF Dustin Fowler from Nashville Sounds. August 31, 2018 Oakland Athletics activated CF Dustin Fowler. August 2, 2018 Oakland Athletics optioned CF Dustin Fowler to Nashville Sounds. May 9, 2018 Oakland Athletics recalled Dustin Fowler from Nashville Sounds. March 28, 2018 Oakland Athletics optioned CF Dustin Fowler to Nashville Sounds. November 6, 2017 Dustin Fowler roster status changed by Oakland Athletics. July 1, 2017 New York Yankees transferred CF Dustin Fowler from the 10-day disabled list to the 60-day disabled list. Ruptured right patellar tendon. June 30, 2017 New York Yankees placed CF Dustin Fowler on the 10-day disabled list. Ruptured right patellar tendon. June 29, 2017 New York Yankees selected the contract of CF Dustin Fowler from Scranton/Wilkes-Barre RailRiders. April 3, 2017 CF Dustin Fowler assigned to Scranton/Wilkes-Barre RailRiders from Trenton Thunder. January 31, 2017 New York Yankees invited non-roster OF Dustin Fowler to spring training. April 4, 2016 CF Dustin Fowler assigned to Trenton Thunder from Tampa Yankees. February 5, 2016 New York Yankees invited non-roster CF Dustin Fowler to spring training. June 22, 2015 CF Dustin Fowler assigned to Tampa Yankees from Charleston RiverDogs. June 9, 2015 Charleston RiverDogs activated CF Dustin Fowler from the 7-day disabled list. June 2, 2015 Charleston RiverDogs placed CF Dustin Fowler on the 7-day disabled list. April 2, 2015 OF Dustin Fowler assigned to New York Yankees. September 18, 2014 Charleston RiverDogs activated CF Dustin Fowler from the 7-day disabled list. August 14, 2014 Charleston RiverDogs placed CF Dustin Fowler on the 7-day disabled list retroactive to August 12, 2014. August 1, 2014 Charleston RiverDogs activated CF Dustin Fowler from the 7-day disabled list. July 24, 2014 Charleston RiverDogs placed CF Dustin Fowler on the 7-day disabled list. May 17, 2014 CF Dustin Fowler assigned to Charleston RiverDogs from GCL Yankees1. July 25, 2013 OF Dustin Fowler assigned to GCL Yankees1. July 12, 2013 New York Yankees signed OF Dustin Fowler.